WONDERFUL opportunity to own a Turnkey home that has a partial view of the Ocean. The home falls on the border of Arroyo Grande and Grover Beach; which allows for easy access to shops/restaurants, 101, and good schools. This home is charming, inviting, and feels HUGE with its unique architecture; that features vaulted ceilings. There's also a walk-in closet, in the master suite, so you'll have plenty of room for life's necessities. 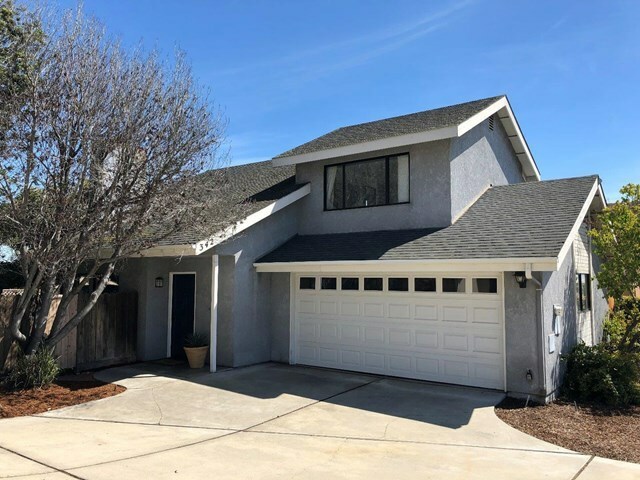 This home features updated flooring throughout, a new garage door, stainless steel hood in the kitchen, freshly painted kitchen cabinets, an open floor plan, and a backyard that has lots of space for entertaining. Come check out this great home and get a taste of CALIFORNIA COASTAL LIVING!